This week has been Fall Break here at the Moscato Household – and even though school has only been in session a few weeks, I have been reminded this week of just how much food these two children of mine consume when they are home! I feel like they have been eating me out of house and home this week! Whether we have been at home or on the go, I think I have heard “Mom, can we get a snack?” more than anything else this week. 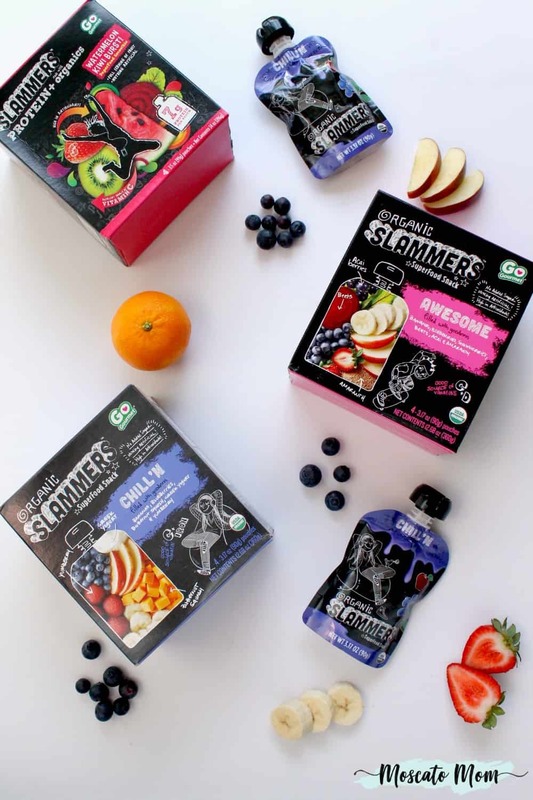 Since we are all on a mission to eat healthier and feel better, it was the perfect time to team up with Organic Slammers Superfood Snacks to have delicious healthy snacks on hand… and you can bet I will be getting more in time for Christmas Break in just 3 weeks! Oye! 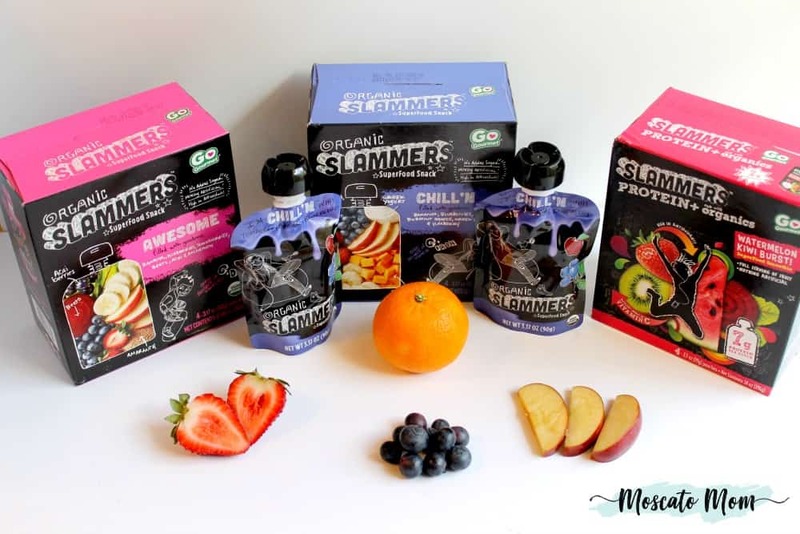 Slammers Snacks are tasty, superfood snacks designed to fuel kids with organic fruits and vegetables such as mangos, acai, sweet potato, and yumberries. Not only are they a healthy alternative to sugar-laden candies and convenience store snacks, Slammers are crumb-free, easily digestible, and serve as a great source of essential vitamins. 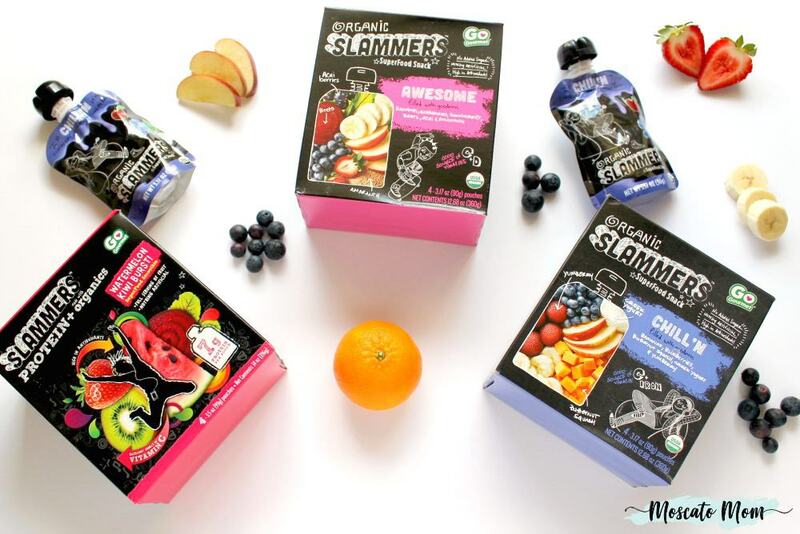 Each Organic Slammers Superfood Snack Pouch includes one full serving of fruits and vegetables plus up to seven grams of protein – that is like eating one whole egg! 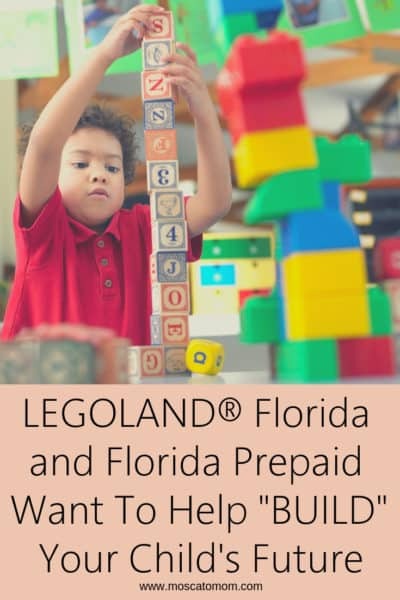 They come in seven delicious flavors and are super easy to toss in your purse, diaper bag, or even kids backpacks and lunch boxes. 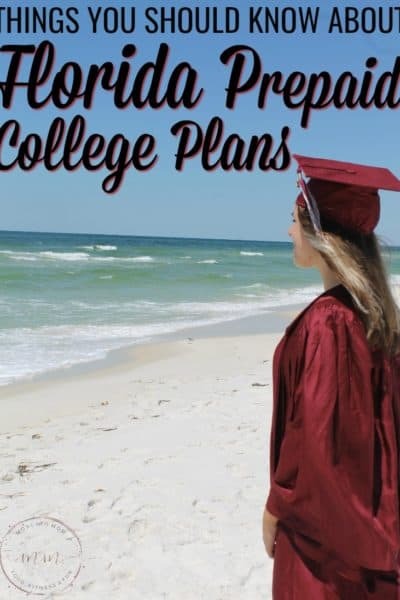 Both The Teen and Midge loved the convenience of grabbing one throughout the day or as we head out the door, and I do not think either one of them realized just how healthy they were eating – they just loved the flavor. 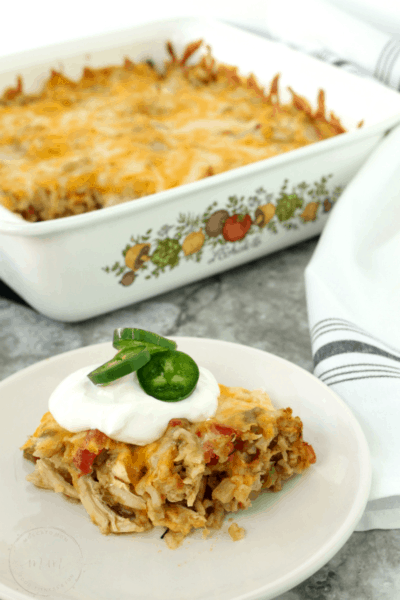 Super convention – NO MESS – and super healthy – talk about a TOTAL Mom Win! You can find Organic Slammers Superfood Snacks at your local Publix or Target, or use their store locator to find additional stores near you! Happy (healthy!) Snacking!